Although you have to travel via Tenerife on your way to La Gomera, the fast ferry links between the two islands make it a great place to spend a day during your time at the Hotel Jardin Tecina. So after you have explored the Garajonay National Park, relaxed around the pool and headed out in search of whales and dolphins, here are three things you can do on the neighbouring isle of Tenerife. Not only is Mount Teide the highest point in Spain, it is also an active volcano, although it hasn’t erupted since 1909. 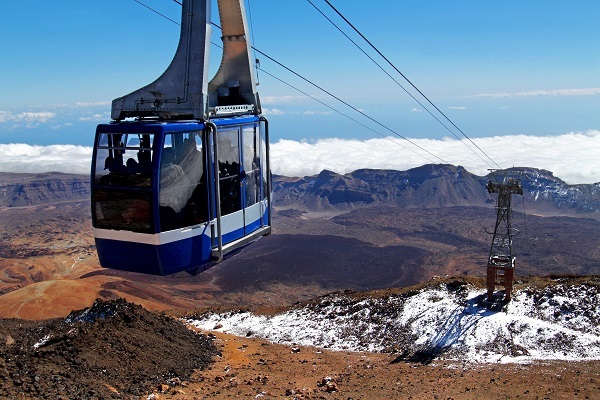 Anyone up for an adventure can climb the 3,718 metres to the top for fantastic views of the Canary Islands and an even greater sense of achievement. The best way to tackle the climb is part of a guided group, as permits and everything will be included in the cost, but it can also be done on your own if you wish. Once at the top, your weary legs will be happy to see that there is the option to take the cable car back down again. If you’re not feeling quite so adventurous, the cable car can take you to the top in just 8 mins, meaning you don’t have to miss out on the spectacular vistas. Loro Parque is a great choice for animal lovers, offering a wide range of species from around the world. 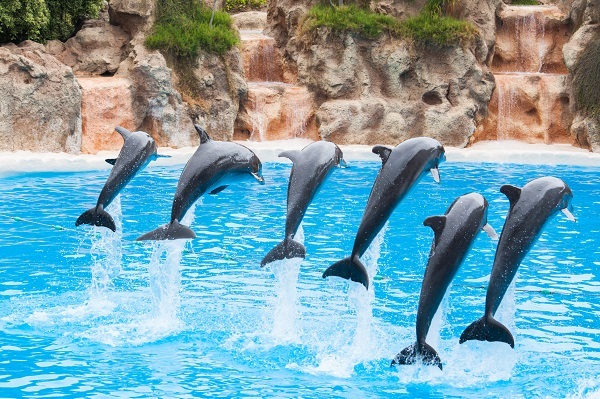 Dolphin, sea lion and parrot shows will delight the children and there are also tigers, lions, gorillas and even sharks to see in the various different areas of the park. It’s easy to get to Loro Parque from Los Cristianos (where your ferry will drop you off) as there is a bus service that runs seven days a week. In 2015, the zoo was voted the best in Europe and the second best in the world, so it really is a must-do attraction during your Canary Island holiday. Although it would be tough to do them both in one day trip, it’s possible to buy a twin ticket for Loro Parque and Siam Park. 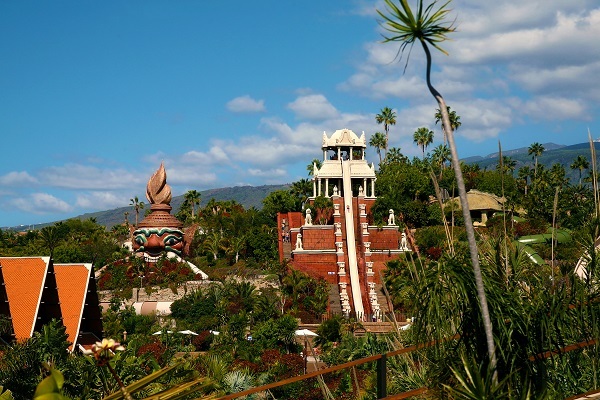 The latter is a waterpark that was voted the world’s best by TripAdvisor in 2015 and which offers slides and attractions for people of all ages. Whilst adrenalin-seekers can attempt to conquer the Tower of Power, a near-vertical slide that propels you through a shark-infested aquarium, those looking to relax can do so on the lazy river or on the white sands of Siam Beach. Amongst the many claims to fame this waterpark has, they are most proud of the largest man-made wave in the world, which can even be surfed if you book a session. Getting to the park is made easy by the free double-decker bus that will pick you up from Los Cristianos. With plenty to do, Tenerife is a great choice for a day trip from your base in La Gomera. Contact us today to plan your stay at the Hotel Jardin Tecina.